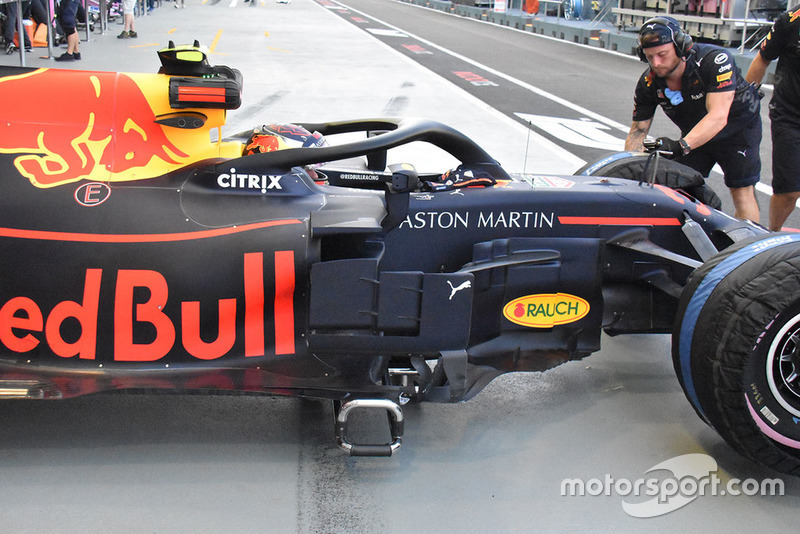 Red Bull has a new set of sidepod deflectors available in Singapore, with the two lead elements conjoined to make one much larger surface. 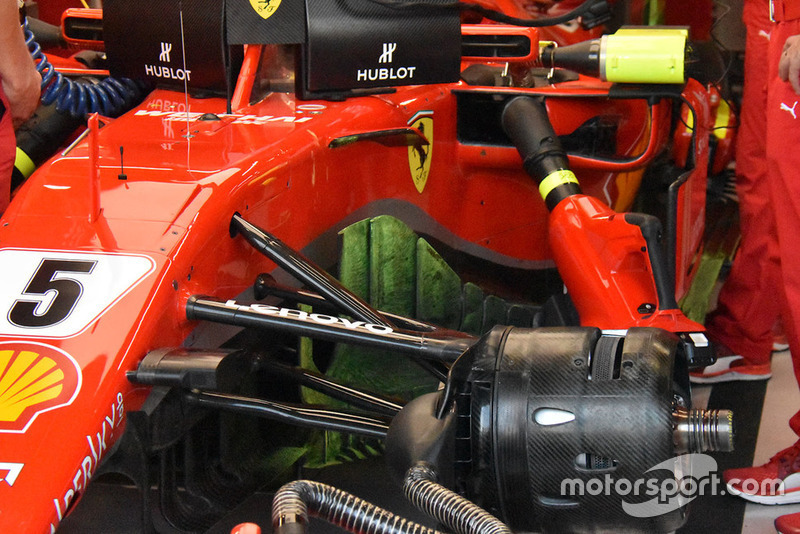 A closer look at Ferrariâs rear brake drum, which features carefully positioned strakes across the surface in order to redirect airflow that moves between it and the wheel face. The VJM11 is plastered in flo-viz paint as the team assesses whether the extensive package of new parts are living up to expectations. 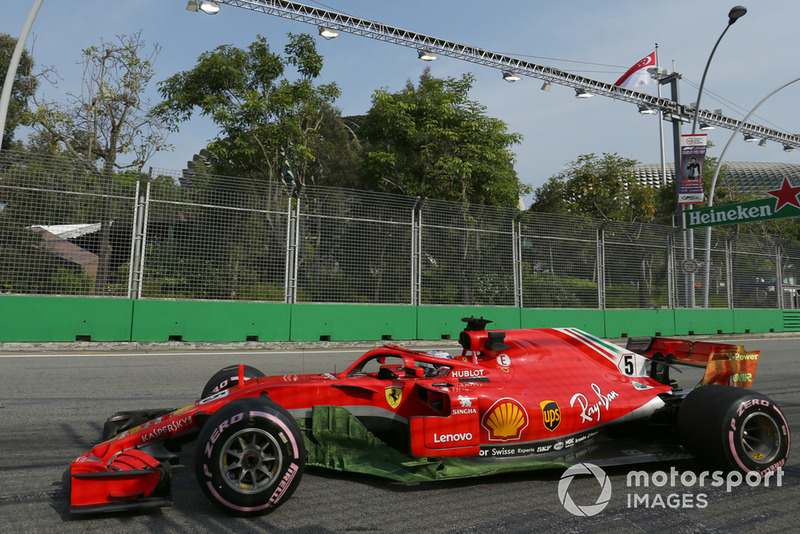 Flo-viz paint was applied to the SF71-H during FP1 as the team checks to make sure the revisions made to the bargeboards are giving the anticipated results. 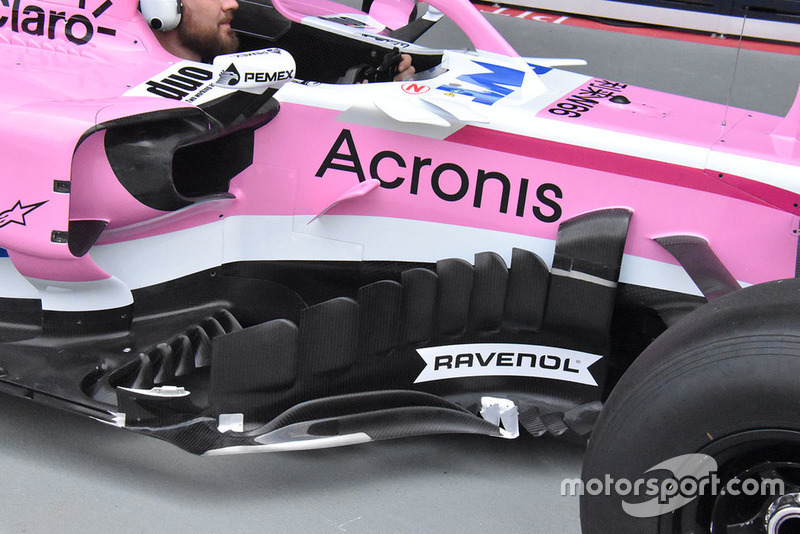 Meanwhile, the team splashed the paint on the rear wing too, making sure that the new slots in the endplate were fulfilling their duties. 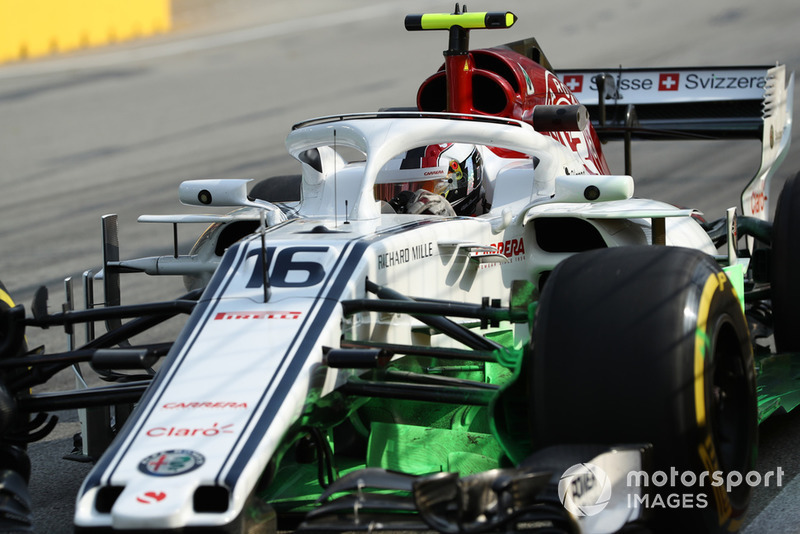 Sauber is also keen to make sure that their recent updates matched the results seen in CFD and the windtunnel, as they sprayed flo-viz on the car. 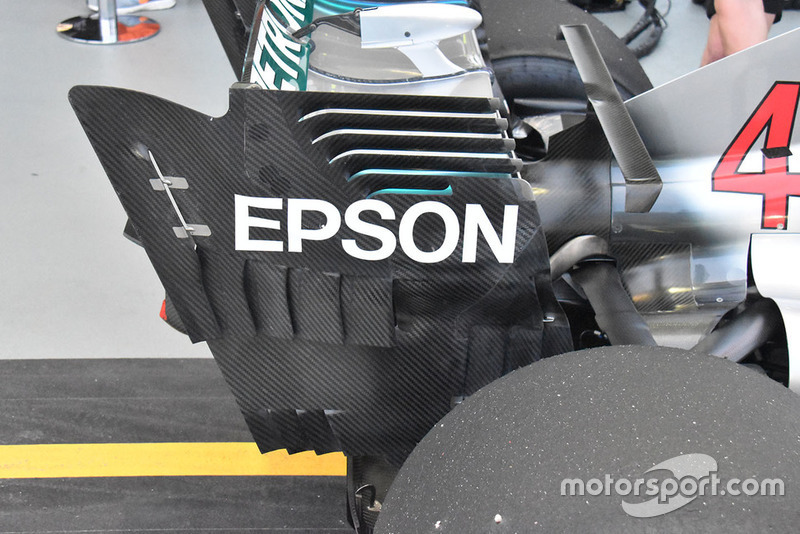 Mercedesâ high downforce configuration wing, first introduced in Germany, has been modified for Singapore, as an additional slot can now be found at front and rear of the surface. 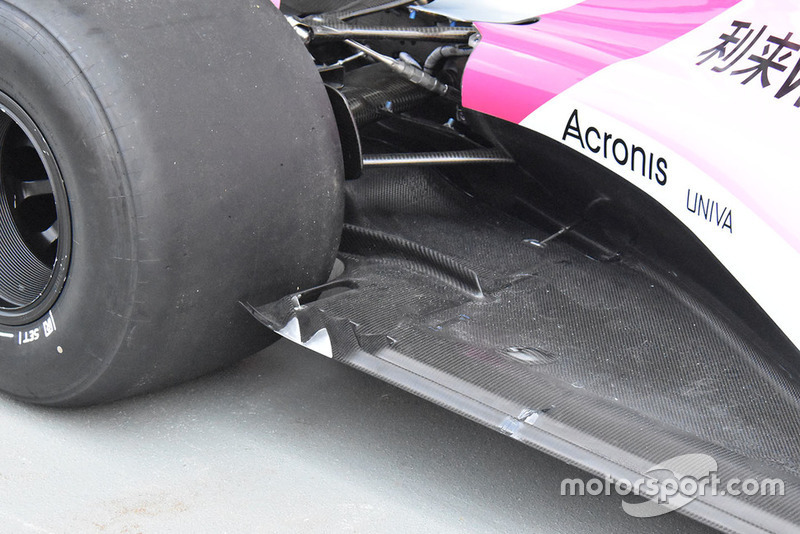 A close up of Force Indiaâs new bargeboards, which feature a leading vertical element that now arches over to meet the chassis and a revised footplate element. Meanwhile, the strakes on the leading edge of the floor have been upped from three to six. 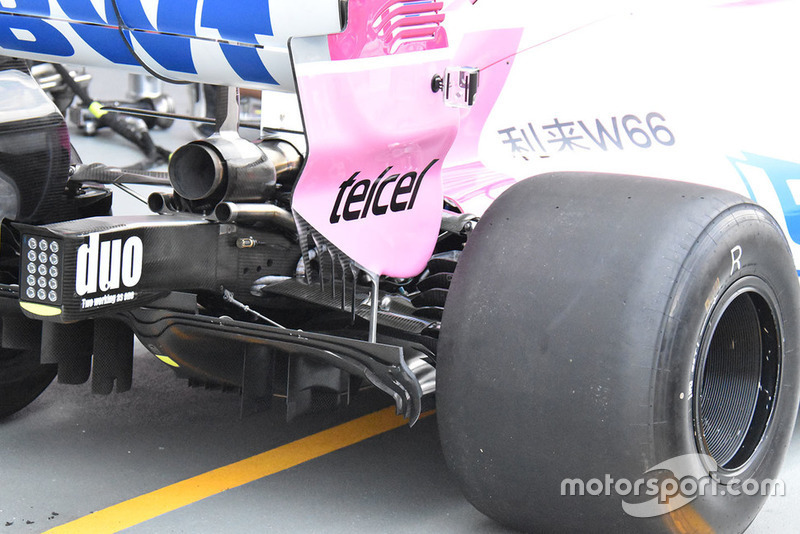 The area ahead of the rear tyre has also been modified on the VJM11, with the latter part of the floor upturned and a small flap added above to improve circulation. Meanwhile, the slots that previously permeated the floors edge have been closed in with a metal insert. 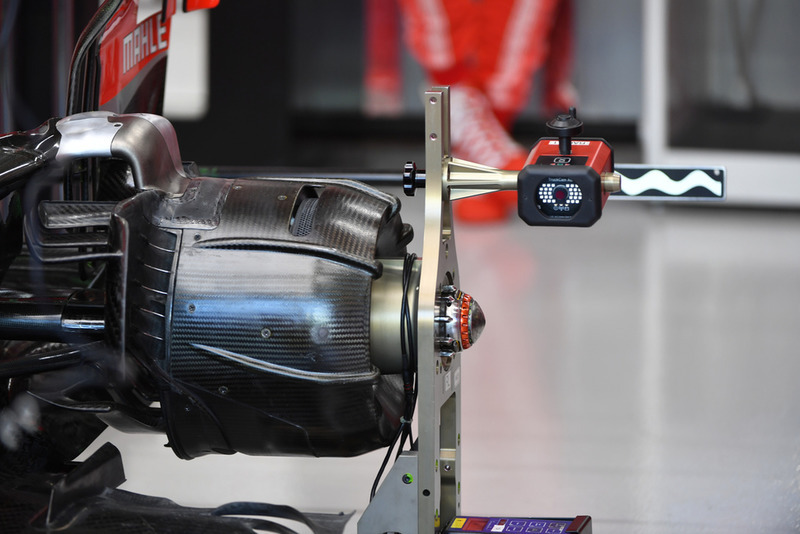 The diffuser has also been a focus of the teamâs attention, with the crossover tab now part of the secondary perforated Gurney, rather than the main diffuserâs body. 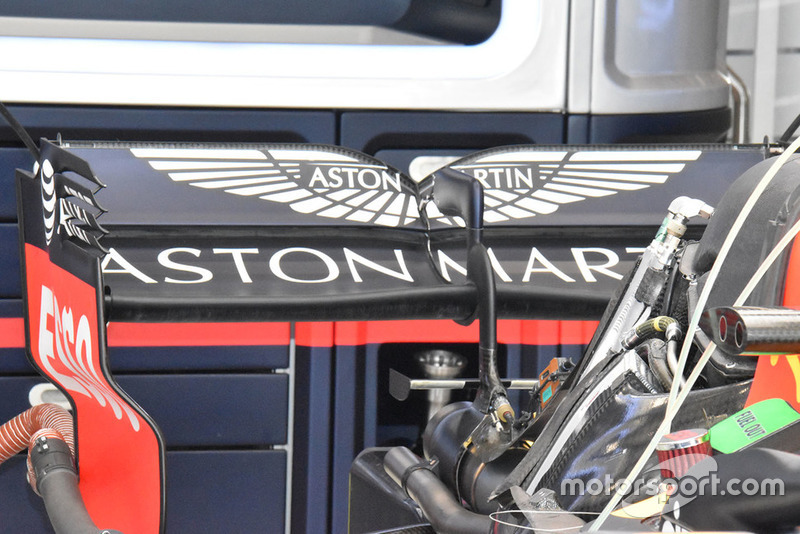 Red Bull are using a high downforce rear wing this weekend, in tandem with a monkey seat over the exhaust. 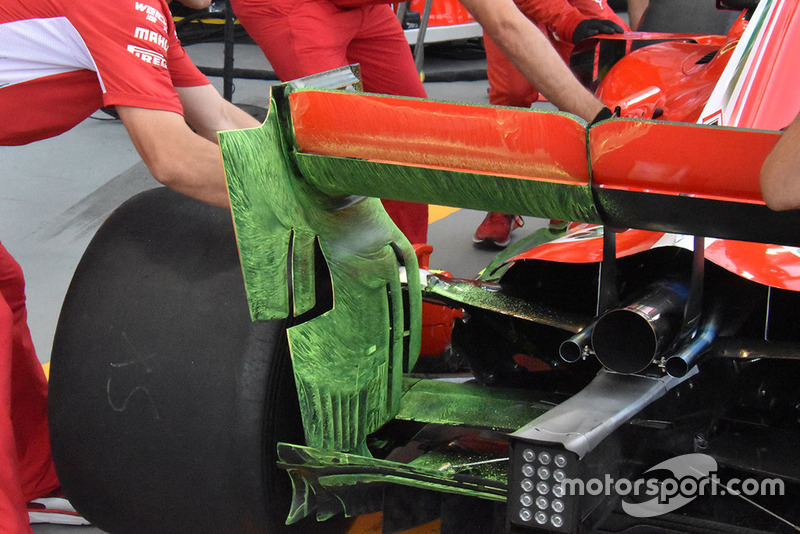 More flo-viz action at Ferrari, as the paint has made its way around the sidepod and floor region.